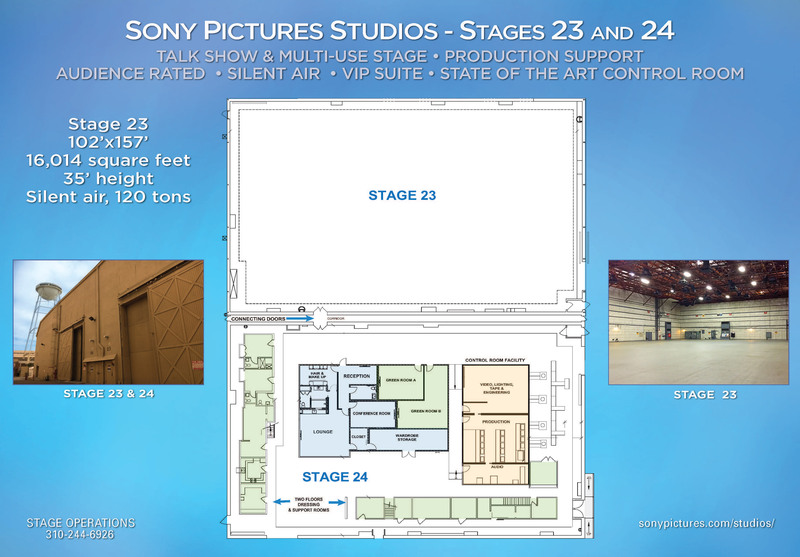 Sony Pictures Studios offers some of the largest and most versatile sound stages to accommodate any type of feature film or television project. 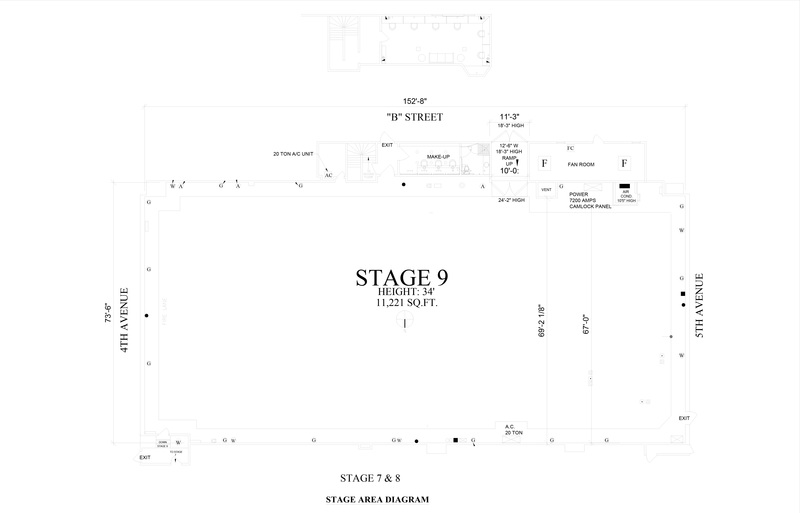 Our total of 18 stages range in size from 7,600 to 42,000 square feet, including two audience-rated TV stages with support space; a two-stage, state-of-the-art production complex customized for the talk show format; and several stages over 30,000 square feet, ideal for a wide variety of productions and events. 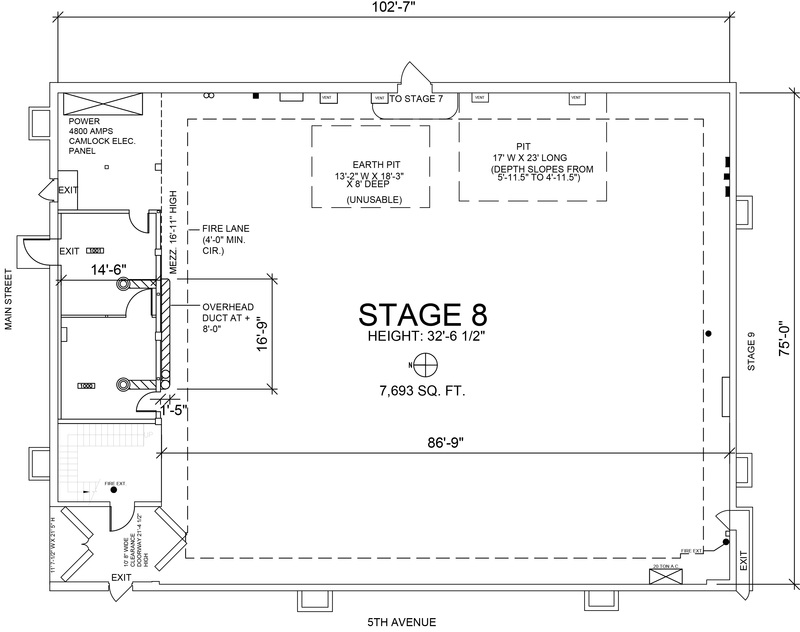 Our experienced operations team works closely with each client to ensure a seamless production from start to finish. 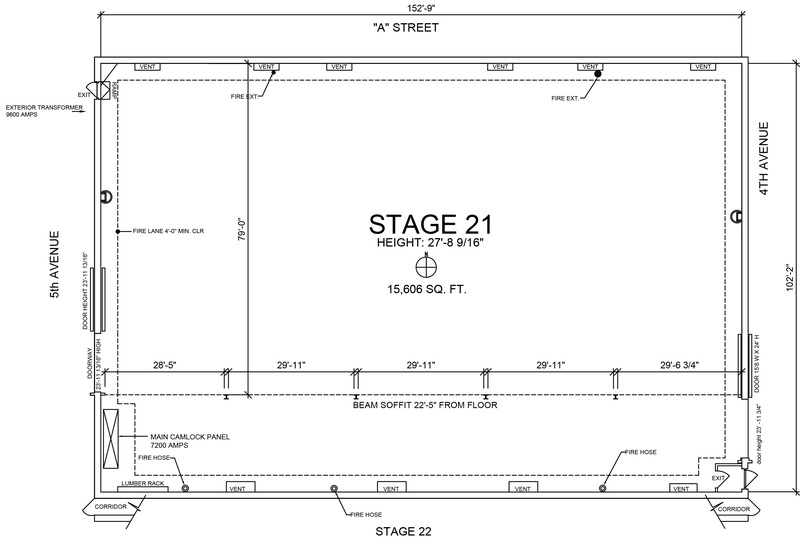 Call Studio Operations at 310-244-6926, and let us bid on your next project. 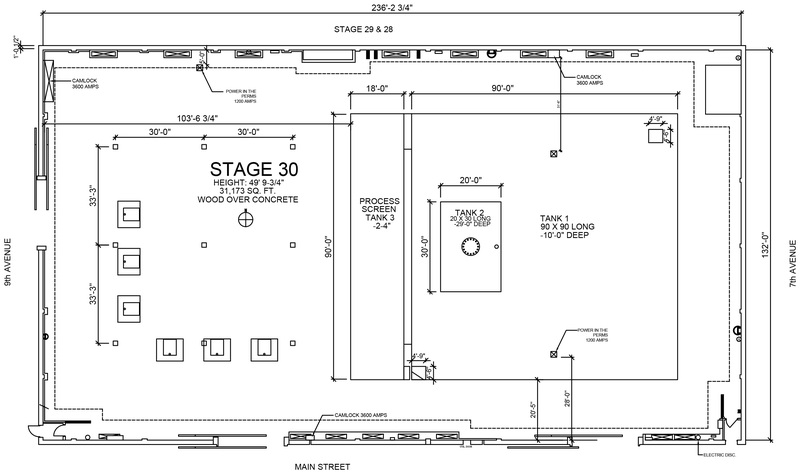 Click below for stage details and diagrams. 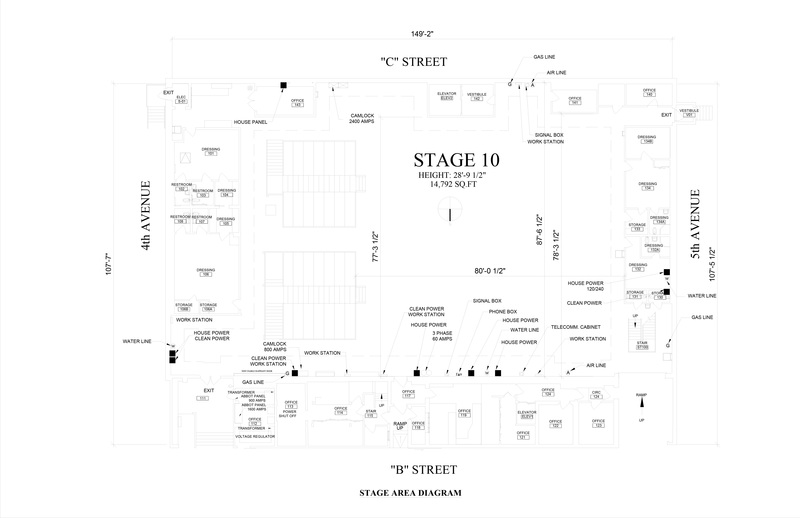 The Gary Martin Soundstage, named after the legendary Columbia Pictures Production Executive, has been revered by producers for decades. 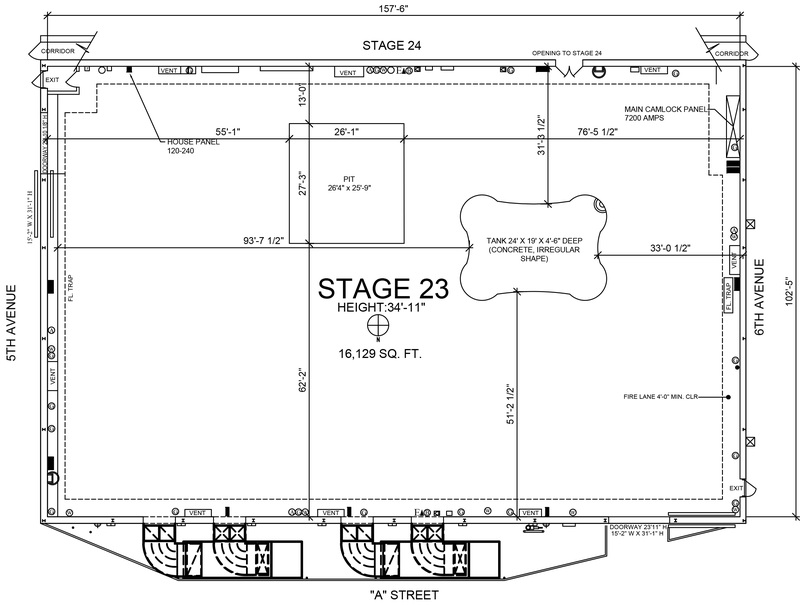 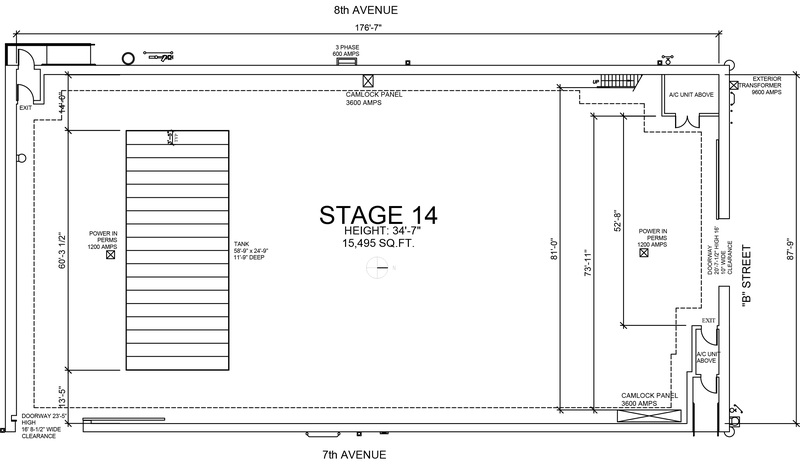 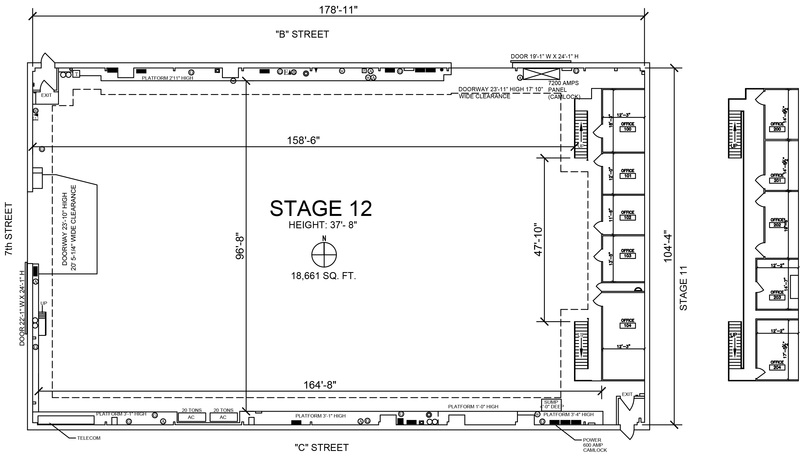 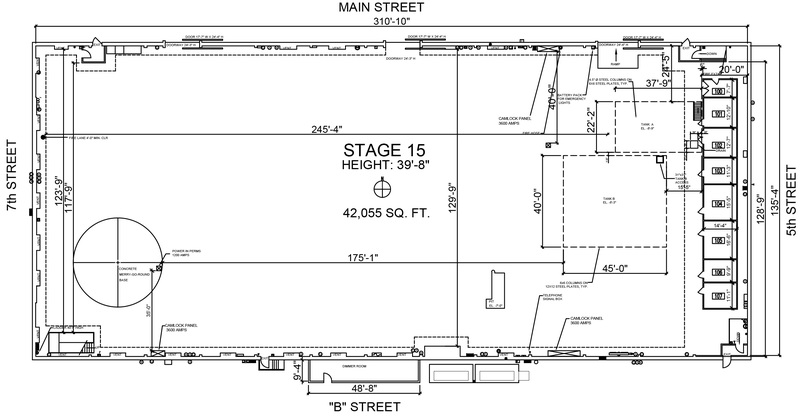 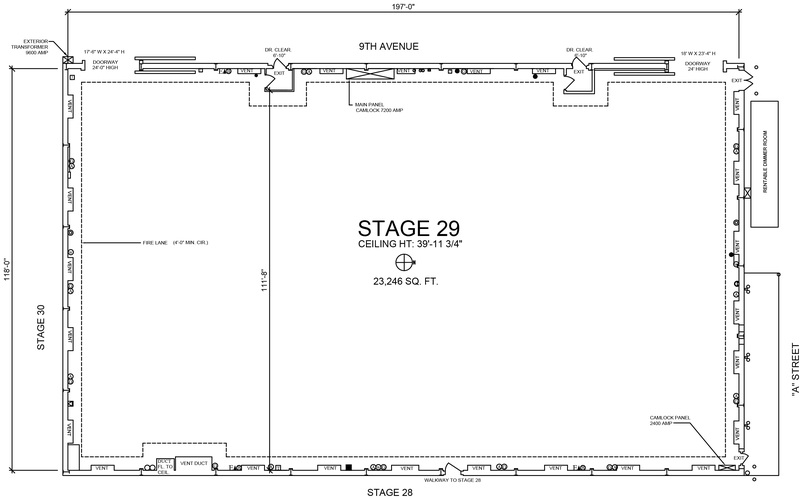 Measuring 42,000 square feet, Stage 15 was once touted as the largest soundstage in North America. 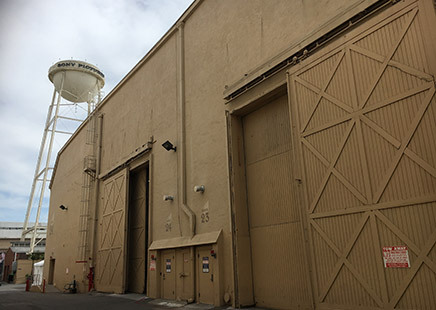 Inside these walls the yellow brick road wound towards Oz in the 1939 classic MGM film "The Wizard of Oz," and again in the recent film "Oz the Great and Powerful." 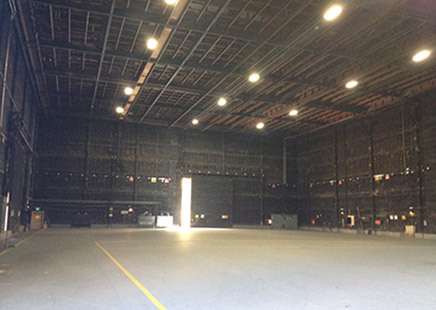 Its immense scale makes it ideal for feature films, and the perfect setting for large live broadcast audience events and music performances. 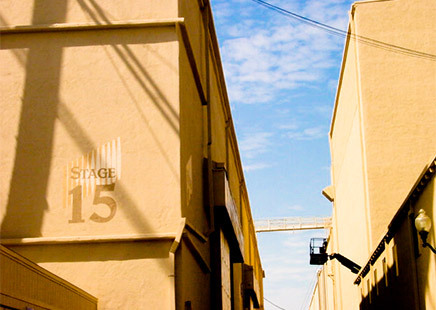 One of Sony Pictures Studios' largest stages, Stage 30 covers 31,000 square feet and reaches 50 feet high. 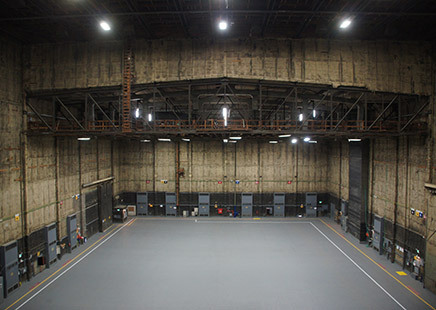 Its large tank is well-known for providing the water settings for classic movies from Esther Williams, as well as watery scenes in current films and television shows. 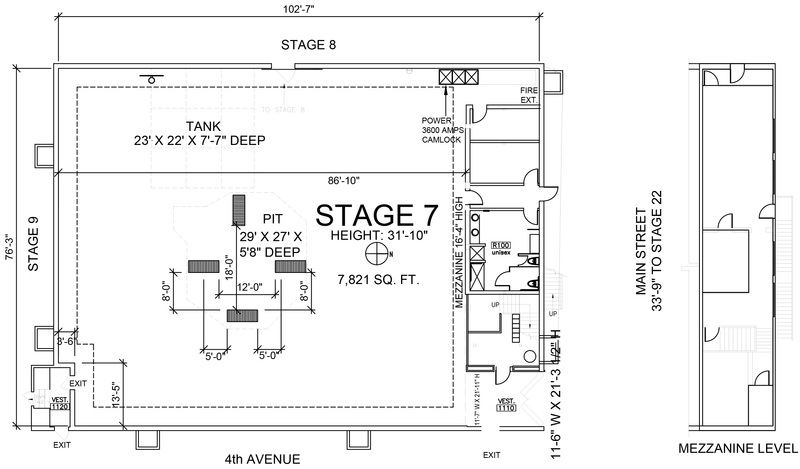 The multilevel tank’s deepest depth is 30 feet, and it has been used for the subterranean placement of staircase settings, and gimbals for large, moving sets. 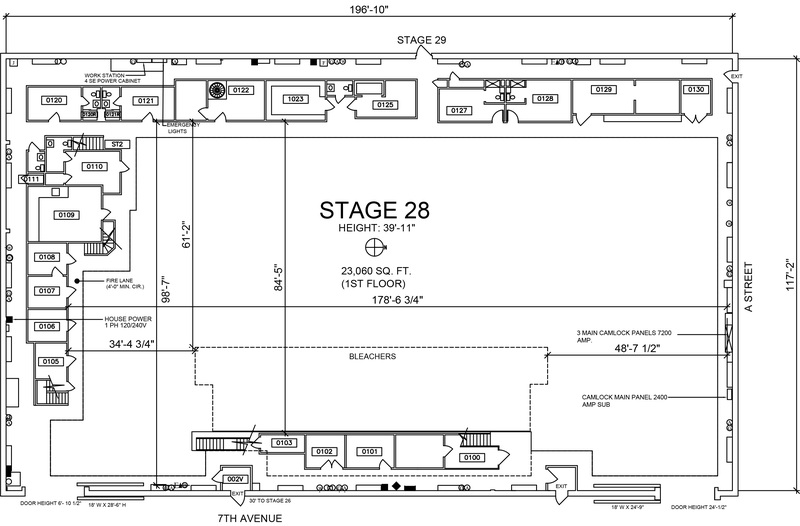 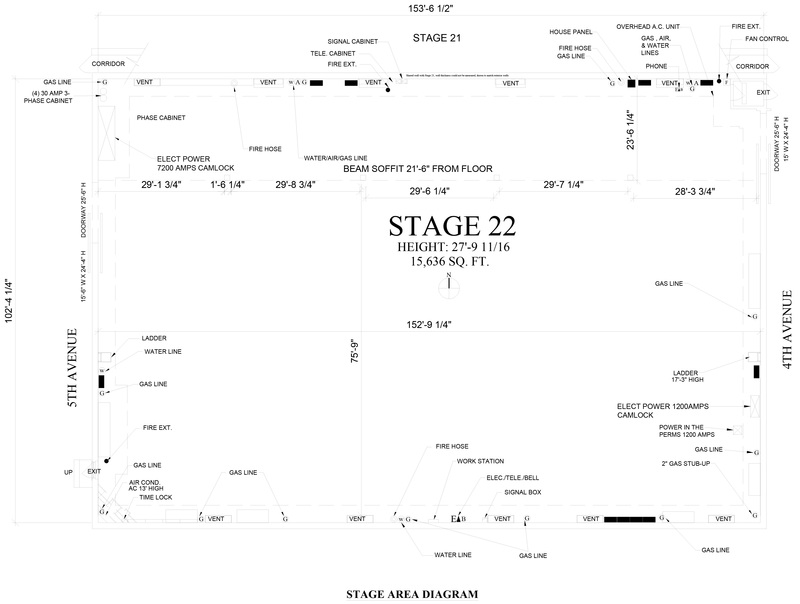 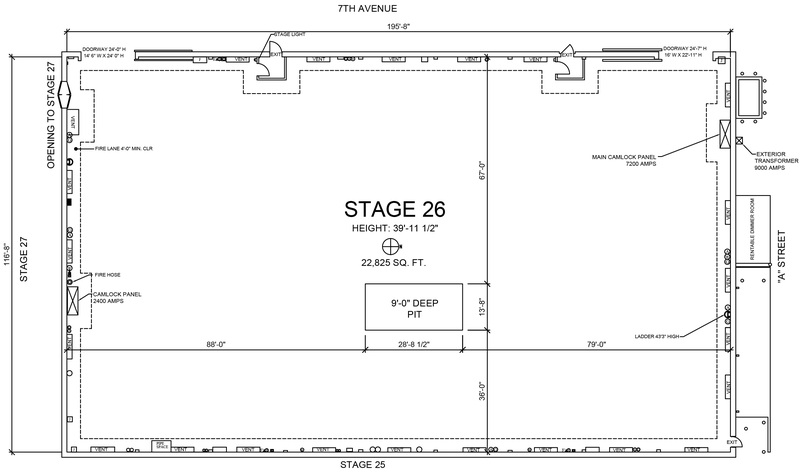 Stage 27’s concrete floors cover just under 32,000 square feet. 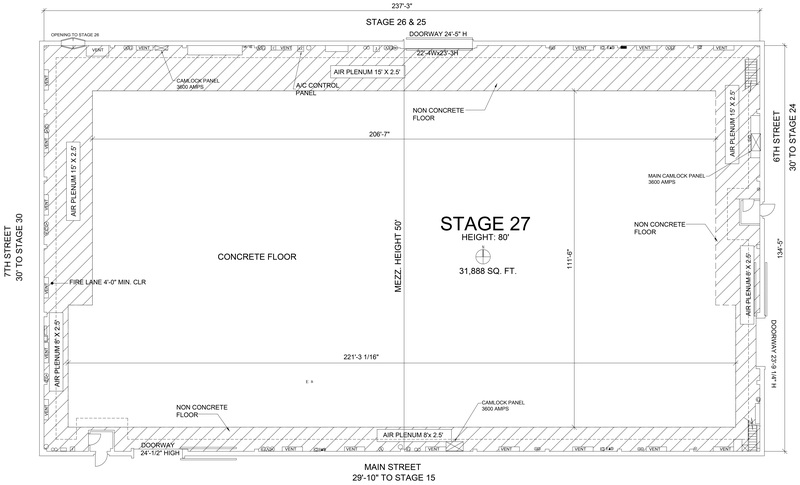 The unique split grid, measuring 50’ on the low side and 80’ on the high side, creates an arena-like atmosphere. 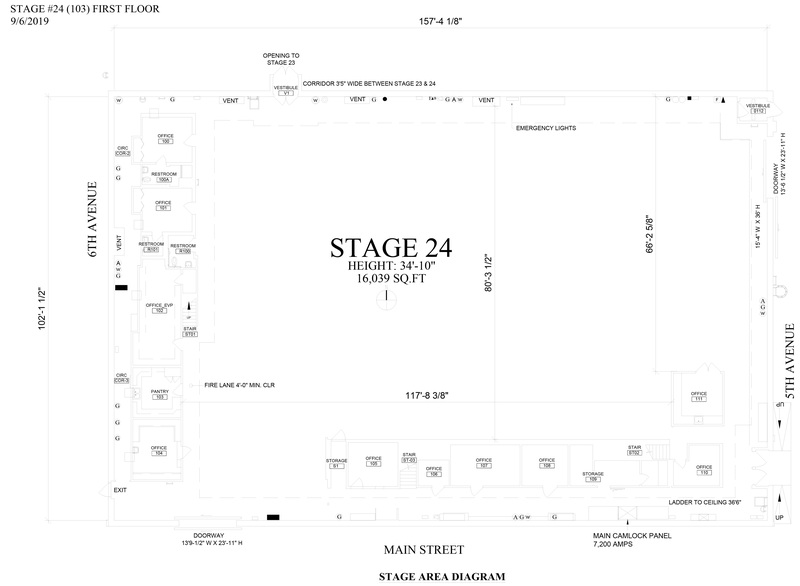 The power-packed combination of Stages 23 and 24 creates a first-rate production complex for live television, talk shows and audience events. 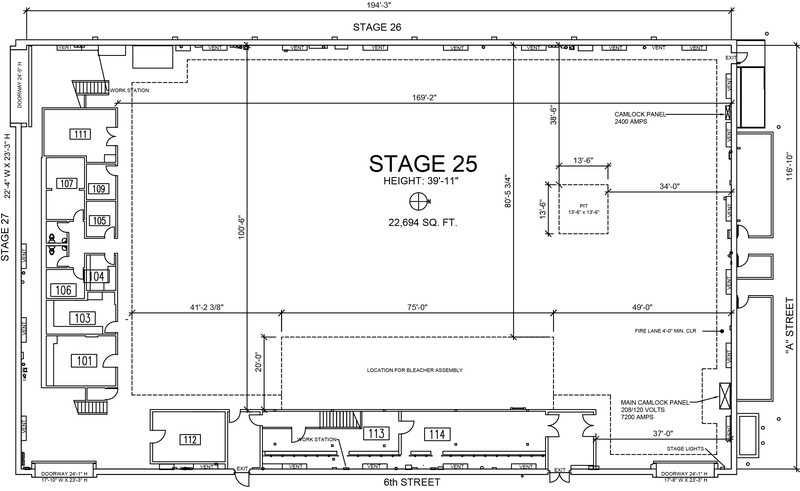 Stage 23 boasts over 16k square feet for production sets while Stage 24 houses production offices, control rooms and support space, putting all your production teams under one roof. 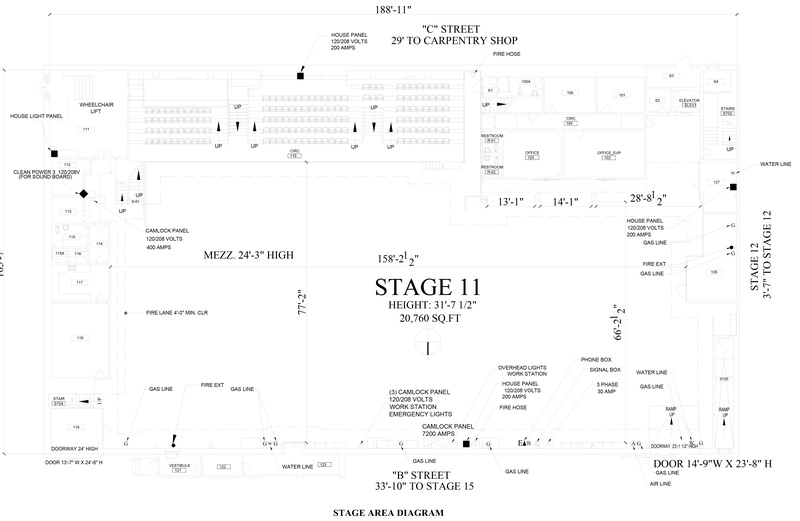 Silent air available as well as audience seating rental.